A lucky fan snags Bolt's Pumas. 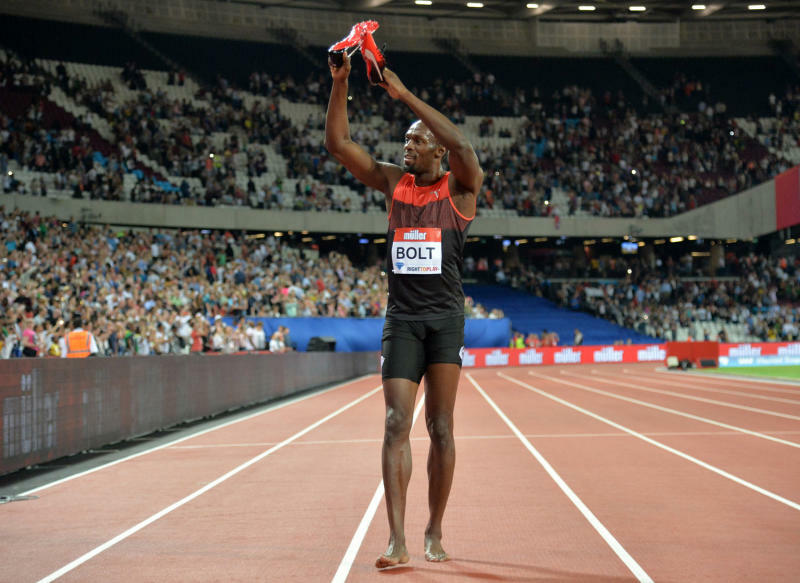 What became of the Pumas that Usain Bolt wore during his most recent on-track victory? The Jamaican runner decided to let his fans have them, chucking his pair into the crowd after crushing a 200-meter at the IAAF Diamond League Athletics Muller Anniversary Games in London in 19.89 seconds. In a tweet caught by Footwear News, the fan who ended up with Bolt's spikes posted a photo of the Pumas expressing her gratitude. The pair, made just for Bolt, features a Jamaican flag on the tongue. 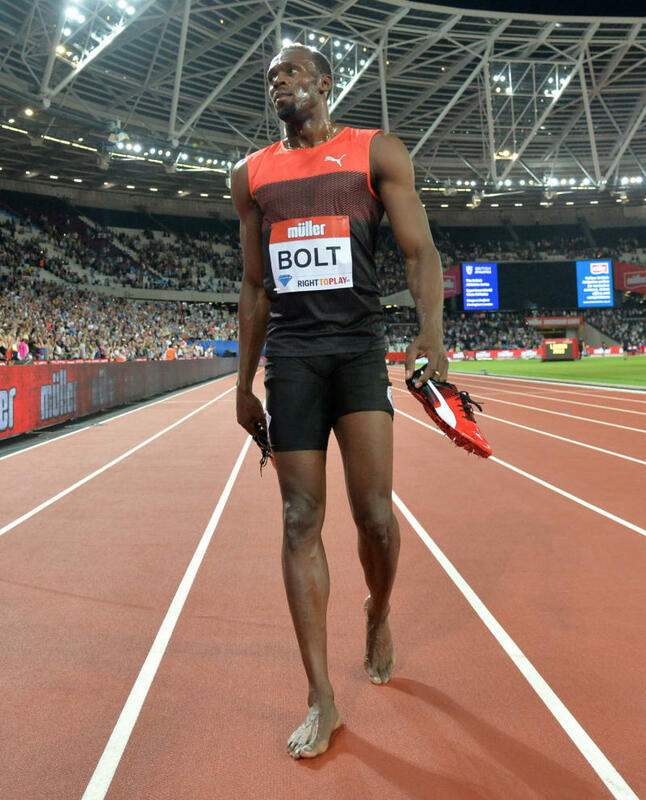 This weekend's race was Bolt's last before he heads to Rio for the 2016 Olympics.